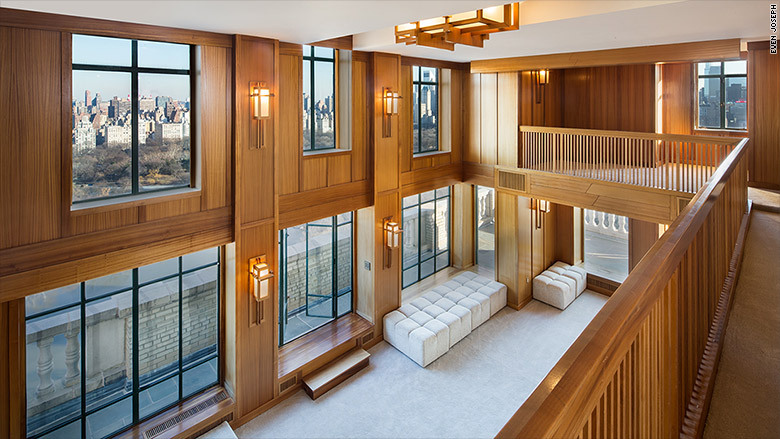 Demi Moore's swanky New York City penthouse listed for $75 million. The apartment is a penthouse in one of the twin towers of the landmark San Remo building on Central Park West in New York. 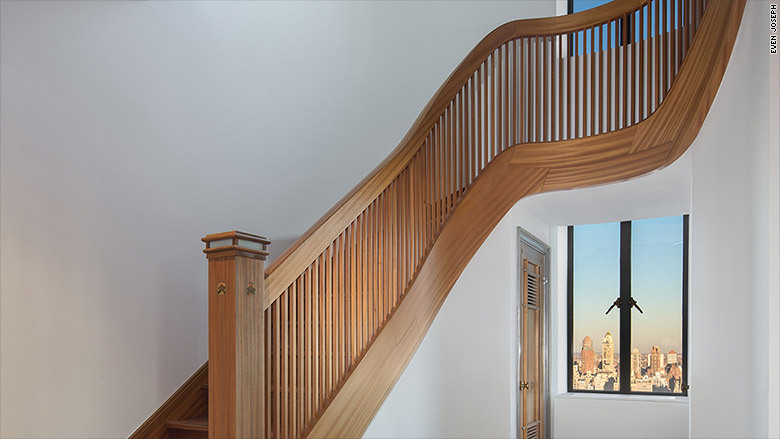 Demi Moore is selling her swanky New York City penthouse. 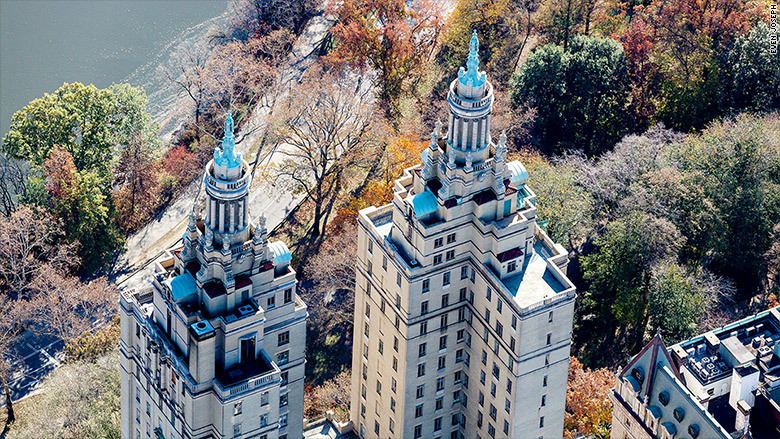 The six bedroom, five-and-a-half bathroom "mansion in the clouds" sits atop the landmark San Remo building on Central Park West and is listed currently at $75 million. Described as the "last unicorn of Manhattan," the apartment spans the top two floors of the building's south tower. It also includes a 2-bedroom "maisonette" at the top of the building, which has its own private entrance. 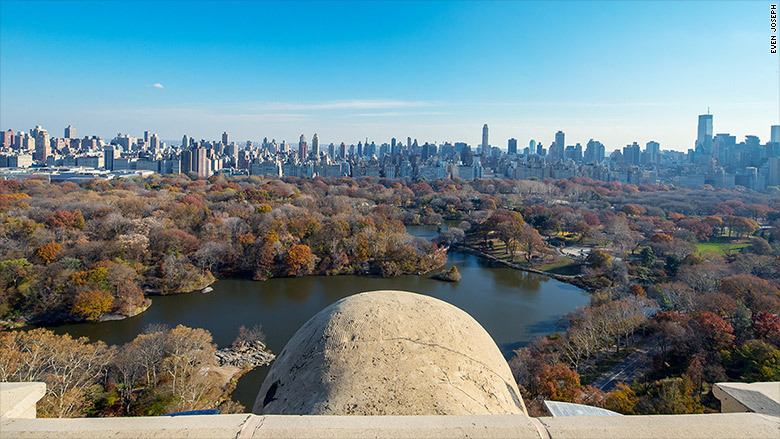 The luxury penthouse has terraces that nearly wrap around the 27th floor, providing expansive views of the New York City skyline, Central Park and the George Washington Bridge. 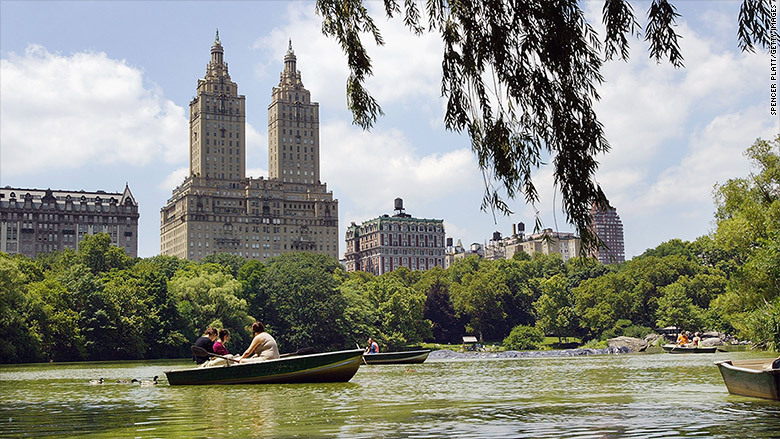 Built in 1930, the San Remo is one of Manhattan's most prestigious buildings and has been home to a number of celebrities over the years. Steve Jobs reportedly sold a penthouse he owned but never occupied in the building to Bono in 2008. The actress bought the property in 1990 with her husband at the time, Bruce Willis, according to The New York Times. She told the newspaper that she looked at several apartments in the area but nothing compared to the San Remo. But the actress -- best known for starring roles in 1990s films such as "Ghost," "A Few Good Men" and "Indecent Proposal" -- is downsizing her real estate holdings. "I'm spending the majority of my time in my other homes, and this apartment is too magnificent not to be lived in full time," Moore told the Times. The monthly maintenance costs for the apartment and maisonette total more than $20,000.